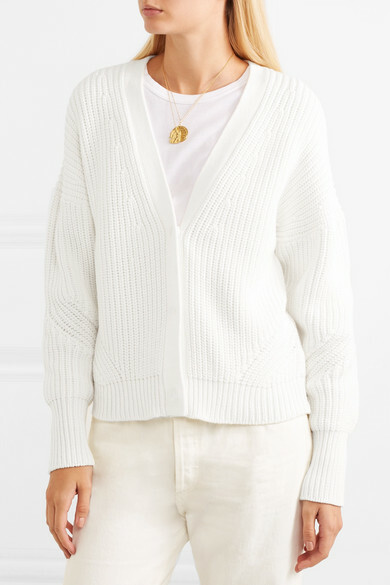 J.Crew's cardigan is such an easy piece to slip on for casual weekend plans - the clean profile and concealed snap fastenings make it super versatile. 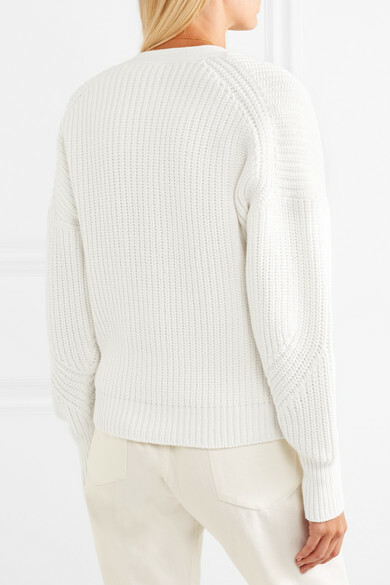 This style is knitted from a cotton-blend with fisherman ribbing to enhance its coziness and drape. Wear yours as part of an all-white outfit. Shown here with: The Row T-shirt, Goldsign Jeans, SIMON MILLER Clutch, GANNI Ankle boots, FRAME Belt, Alighieri Necklace, Alighieri Necklace.